I recently had an idea while slowly scrolling through my bookstagram feed. I love bookstagram, I am absolutely not afraid to admit that. I spend way too much time scrolling, liking, commenting, and practicing my photography, and way too little time actually reading the books I am supposed to be reviewing. Now with that being said, I love every single relationship I have built on bookstagram. I have a group that regularly gets together to talk about the books we are reading in our book club as well as many more wonderful things (babies and birthdays recently!!!). I love the little community I have joined and I do not want to give that up, but I have decided my cell phone is becoming a little too attached to my hip and my mood sometimes can be altered by how many likes my picture received. I don’t like that… and I shouldn’t. Likes and followers are not what bookstagram is about. I have to tell myself that too often. Bookstagram and review blogging is about forming relationships with other bloggers and authors who enjoy the same books and stories that you do. At times I let myself forget that, and I recently realized that if I am forgetting that, I am probably not the only one. To explain my recent little light bulb moment, I have made a vow to myself to take a break from my cell phone and go “off the grid” every now and then in order to have some time for myself, as well as my reading. I think the youth (and adults as well) too often rely on our technology to get us through the day when we should be relying on our relationships and even the books that we read and love. 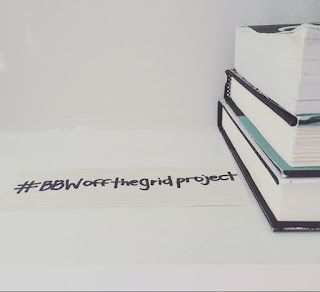 This month, I encourage you to go off the grid with me in the #BBWoffthegridproject. You don’t have to do it long. It could be 1 hour a month, 1 day a week, or whatever timing you choose for yourself! Just take the time away from technology to enjoy family, friends, books, or whatever it is that gets you out into the beautiful sunlight! 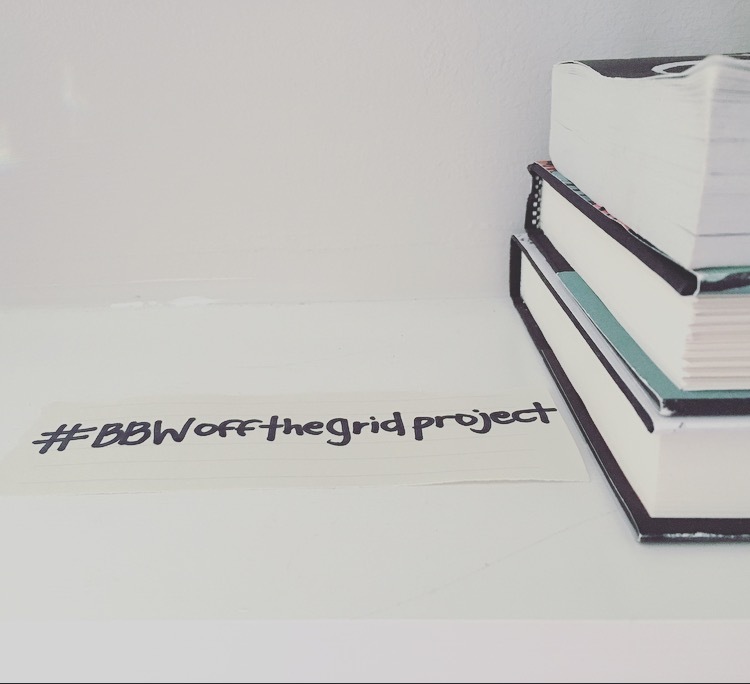 If you decide to join this challenge, please add #BBWoffthegridproject to your photos and encourage your bookstagram friends to join in as well. You are also welcome to repost the photo and link to my blog (www.theblondebookworm.com) so people can read about this challenge. Lastly, I would absolutely LOVE to hear about how you spend your “off the grid” time so please comment here with stories! Thank you for joining me and I look forward to reading about your off the grid time soon! Check back frequently because we have more author interviews, giveaways, and book reviews coming your way.